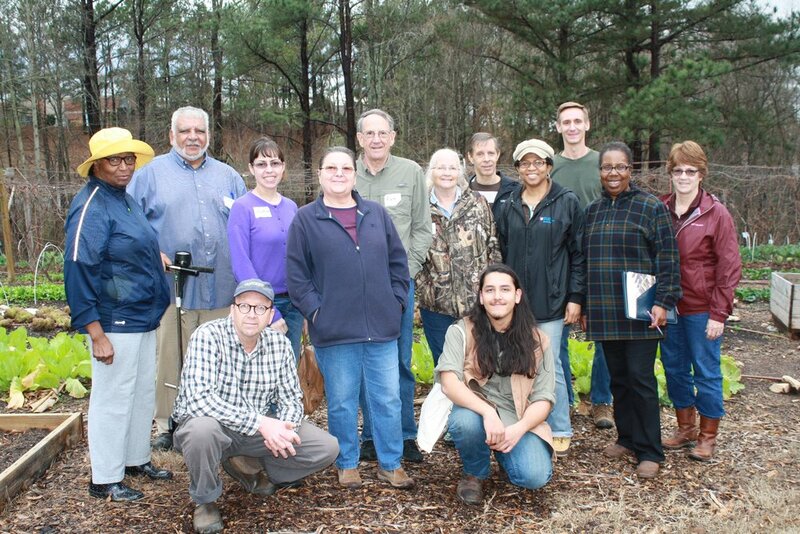 Volunteer leaders of community gardeners are the heartbeat of a thriving community garden. For many, who organize their neighbors to lay the groundwork for a sustainable garden, they view community gardens as a valuable tool to teach people how to grow their own food. “Being part of a community garden lets people interact with more experience gardeners and learn a little bit better what they can do and everybody can grow together,” said Lynne Young. “There’s also opportunities to share seeds and tools, which makes things much more affordable,” she added. 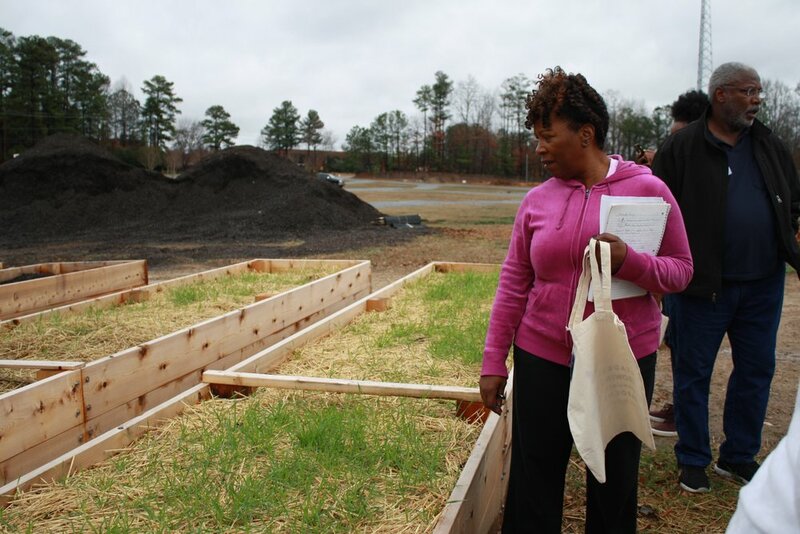 Lynne is a gardener who spends time working in the Garden of Eden, a community garden located at her church in Lithonia, First Afrikan Presbyterian Church. 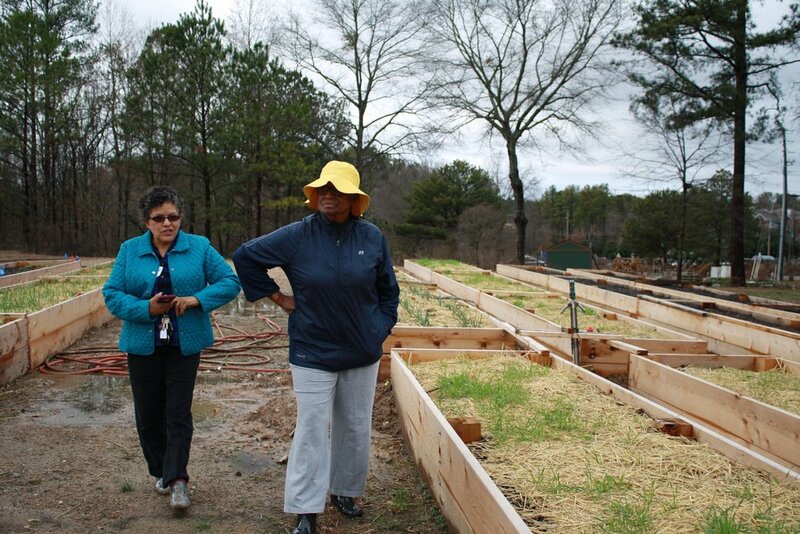 She also attended the Leaders Growing Community Gardens Workshop in Gwinnett on January 20 and 21. 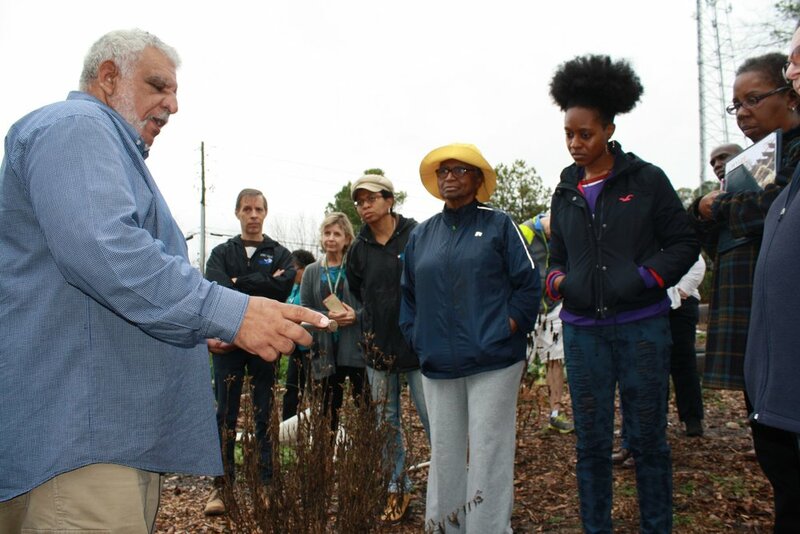 The workshop was apart of a collaborative initiative that was launched last year and born out of the desire to see community gardens in metro Atlanta thrive. 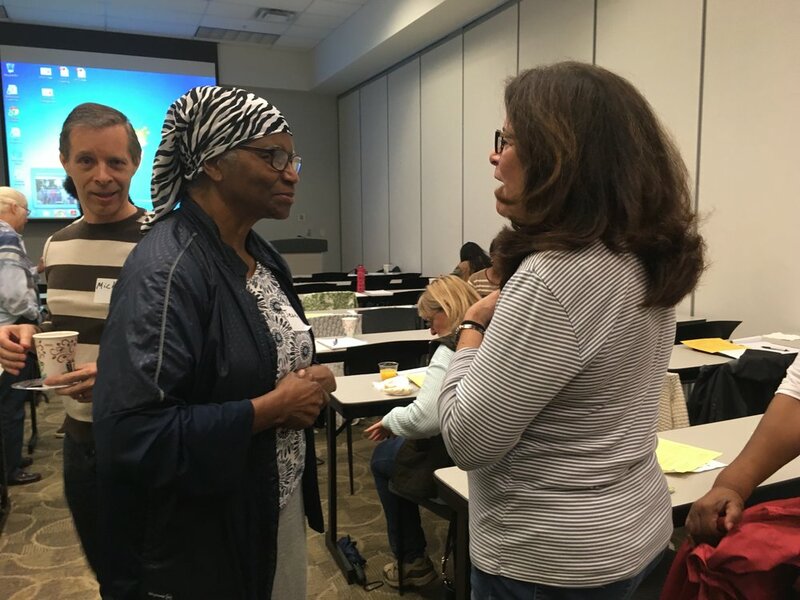 Despite the rain, there was a great turn out for the two-day workshop, which was the last of five held across five different counties including Gwinnett, Dekalb, Cobb, Fulton and Clayton. 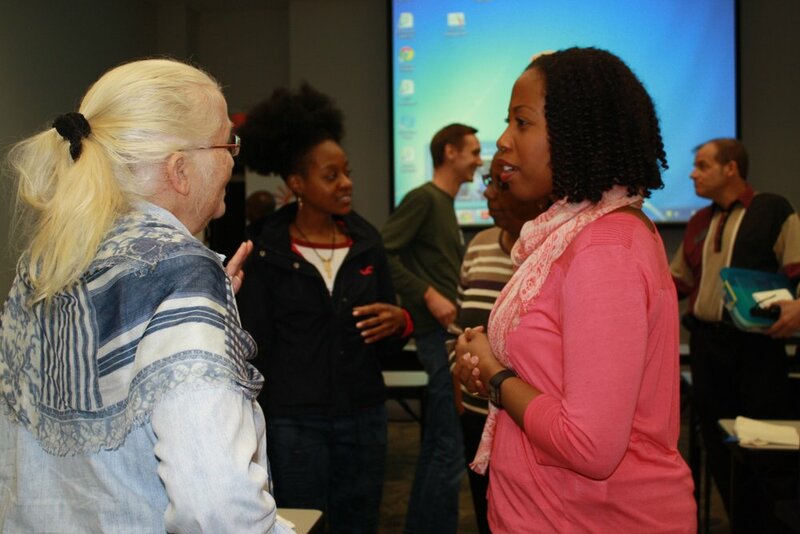 The workshop kicked off on Friday and featured talks from guest speakers including Cathy Walker of Metro Atlanta Urban Farm, Khari Diop of Think Green Inc, Stephanie Van Parys of the Wylde Center, Charlie Monroe of Cobb County Parks & Recreation, Kyla Van Deusen of Captain Planet Foundation , Fred Conrad of the Atlanta Community Food Bank Community Gardens, Timothy Daly of UGA Extension and Tony Gobert of Gwinnett Technical College. 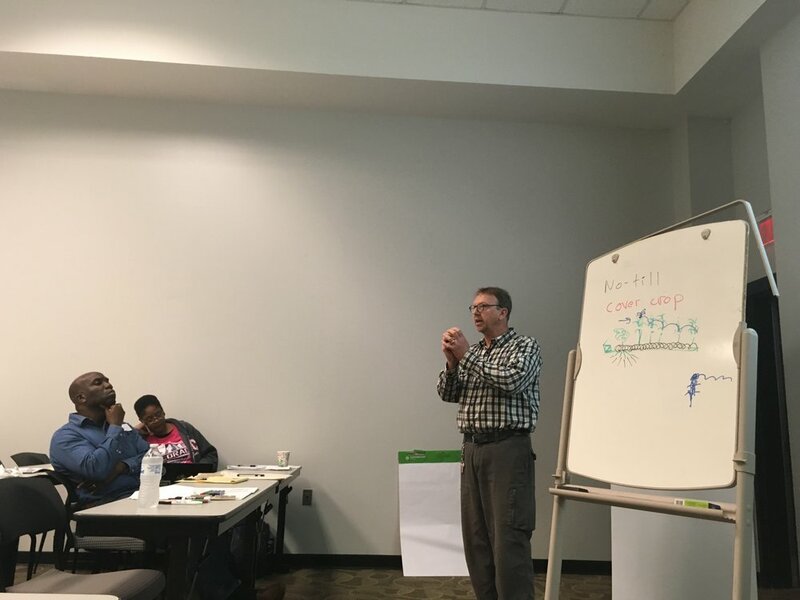 Participants were able to acquire leadership training and horticulture knowledge so they can in turn build resilience and greater capacity for Atlanta’s community gardens. 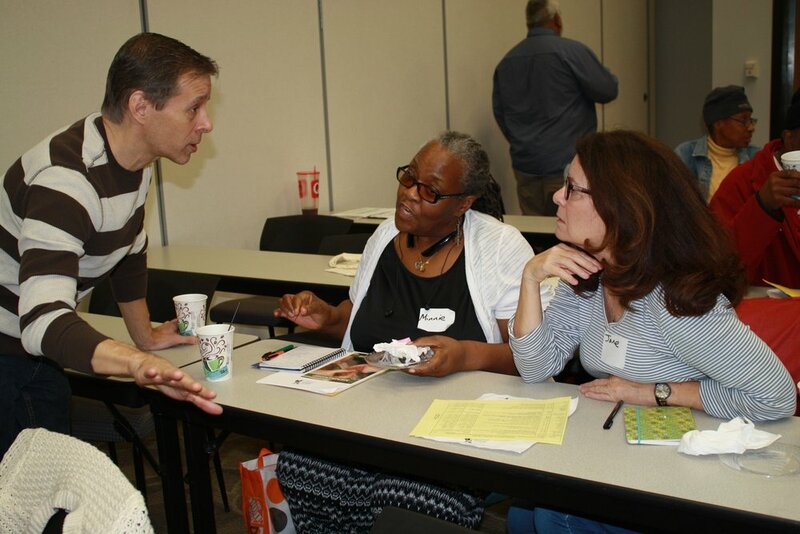 Lectures on the first day of the workshop, held at Gwinnett Technical College, included topics such as best practices for gardeners when working with volunteers, ways to market and promote their work and community building. 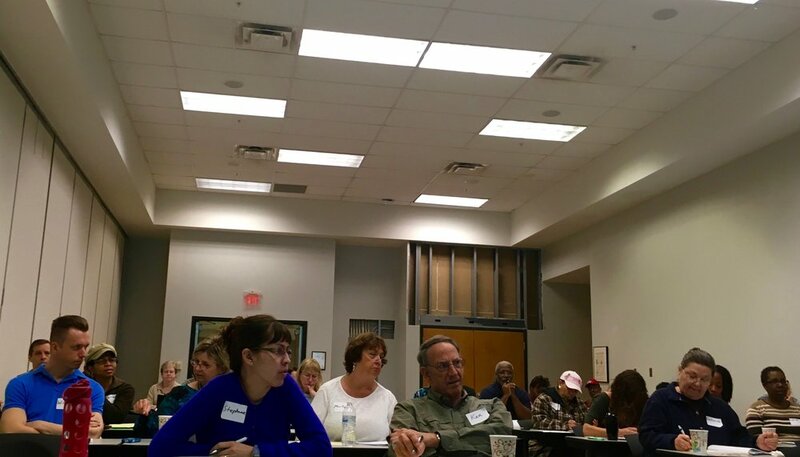 On the second day of the workshop, gardeners had the opportunity to learn about plants and pests, and received tips on planning, planting and harvesting their gardens. 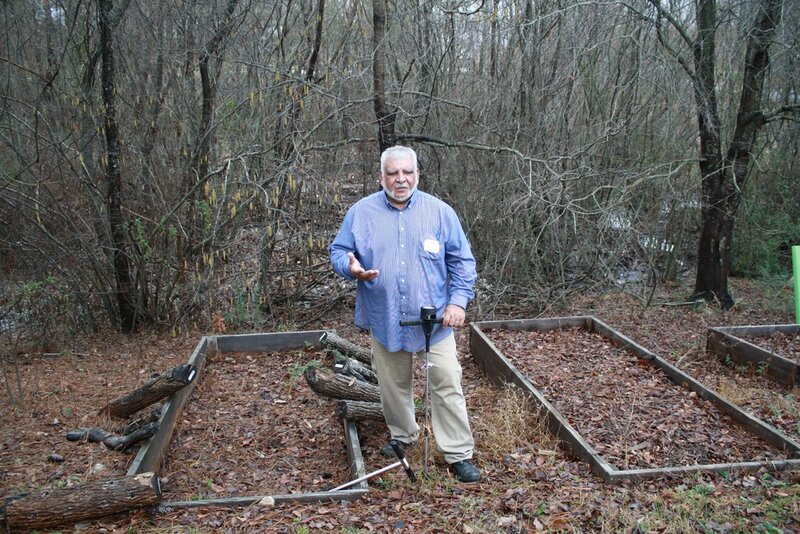 Participants were also able to venture outside for a portion of the workshop to learn about soil at Gwinnett Tech’s Learn-In Farm, a student production farm at the school’s Lawrenceville campus. The college has begun expanding its farm over the last year thanks to the Local Food Grant it received in 2016. 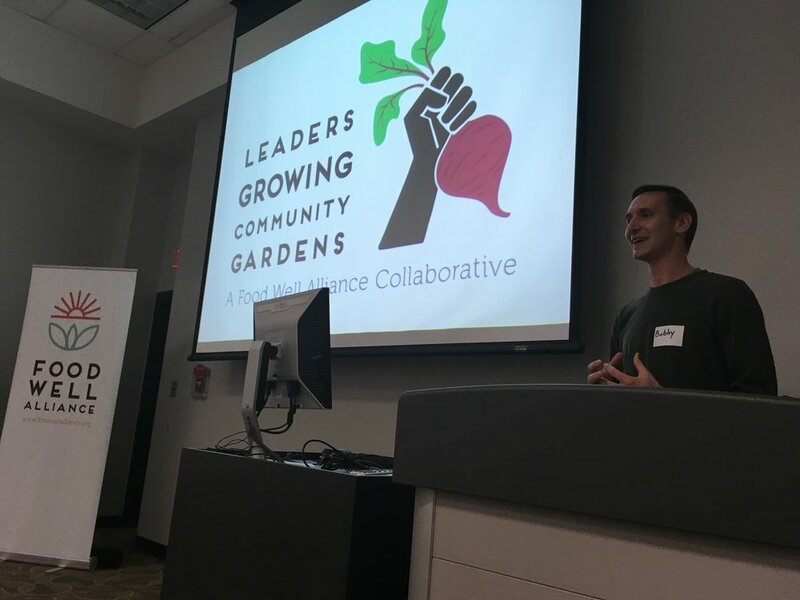 Tony Gobert, who leads the Sustainable Urban Agriculture program at Gwinnett Tech, said community gardens are necessary because they give people the opportunity to see how foods are grown. Tony shared that one of the things he loves about his job is when he has the chance to bring children to the garden and teach them about where their food comes from. We want extend a big thanks to partners Atlanta Community Food Bank Community Gardens, East Atlanta Village Farmers Market, Global Growers Network, Metro Atlanta Urban Farm, Partners in Action for Healthy Living (PAHL), Inc., South West Atlanta Growers Cooperative, Think Green Inc. and Wylde Center. From their hard work, Leaders Growing Community Gardens is able to support community gardeners in their efforts to develop their ability to manage and mobilize their neighborhood around growing sustainably-grown, local food. 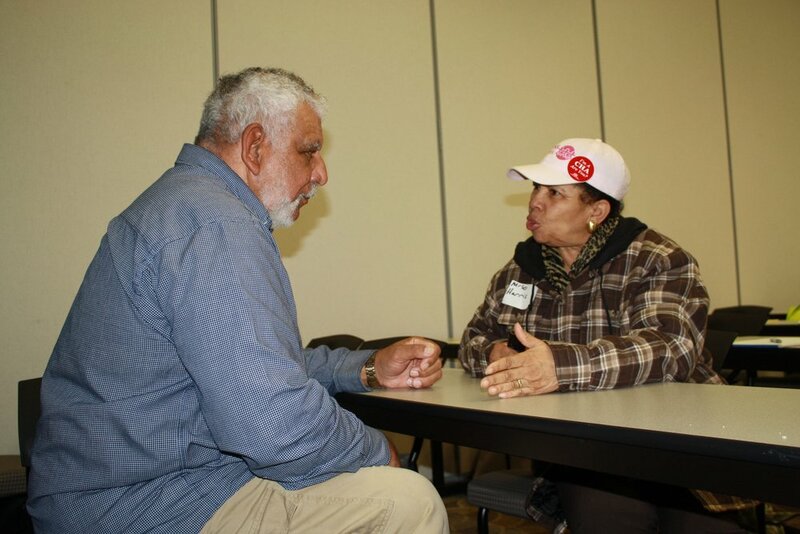 If you are a community garden leader looking for an opportunity to increase capacity for your community garden, consider applying for personalized one-on-one coaching from local experts through a scholarship funded by Food Well Alliance. The coaching consultations are centered around leadership development, establishing sustainable governance and horticultural expertise. Interested gardeners must register for the coaching by February 1, 2017 at 11:59 p.m. 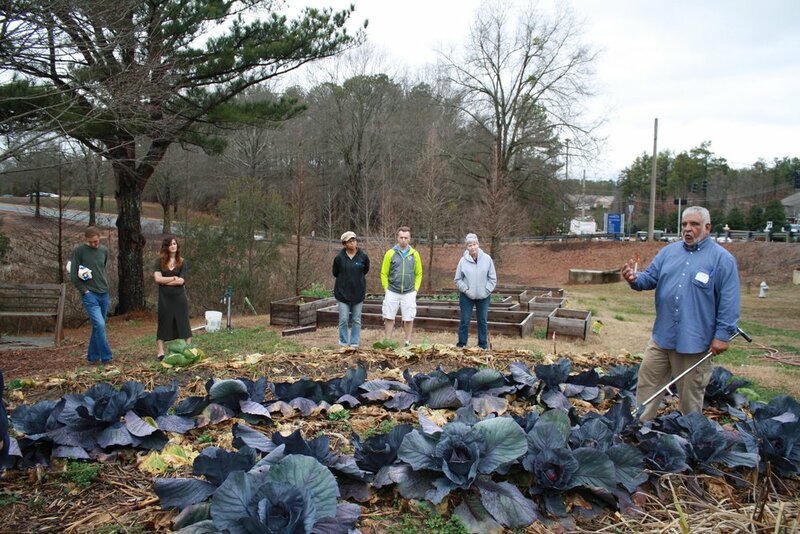 In addition to coaching, we are also offering the Community Garden Grant which will invest a total of up to $50,000 to support neighborhood leaders and the long-term sustainability of their community gardens. 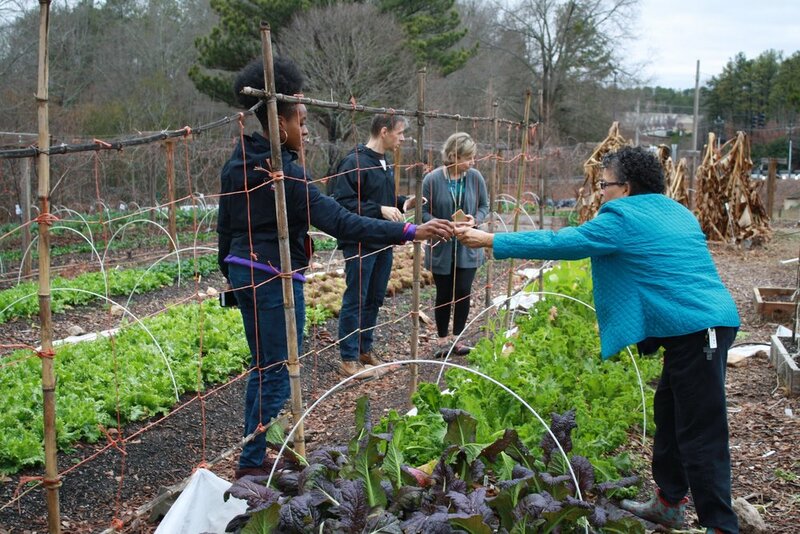 Leaders that are committed to increasing the vitality of Atlanta’s neighborhoods through growing food in community are invited to apply for this $1,500 grant to improve garden infrastructure and supplies. Applications are due February 15, 2017 at 11:59 p.m. If you need help writing your application, attend our in-person training on February 2, 2017. Find out more and RSVP for your spot here.